What is quiet-time and why does it matter? It seems silly to say, “Okay look to break out of people-pleasing, we need to have some quiet time.” But seriously, that’s one of the keys to breaking out of people pleasing. What does quiet-time do? First off, it breaks your cycle of busyness. Part of people pleasing is staying so busy that we don’t have to think about what we want. I’m going to tell you that’s never going to work. You’re going to have to consider what your feelings are and what you want. That is going to happen in that quiet time. It could be uncomfortable. Know that you might be uncomfortable. “It’s okay. I can be uncomfortable. I’m going to sit here for a little bit and get quiet with my thoughts, my feelings, and dig in.” And ask yourself why do people pleasing matter so much to you. What is it about people-pleasing that you’re getting out of it? Or hiding from by people pleasing. Because really, it’s about putting everyone else in your life ahead of you and that’s just not going to work. One day, it just breaks down. And one day, they’re not there. And then what? More importantly, it’s about coming to a place of self- love and saying, “I matter.” As hard as it’s going to sound, it’s just to sit there and be quiet. You might need to do this in the morning when everyone’s still sleeping. You might need to do this at night after everyone’s gone to bed. You might do this in the middle of the day if you work outside the home, you might go sit in your car and be like, “Why am I so worried about what everyone else thinks or wants?” And ask yourself that. What is it that it feeds in you? And that quiet time is really where the answers are going to start coming to you. And you’re going to have to answer and then ask why. Why does it matter? I mean is it because you learned that? What about people-pleasing give you satisfaction? But what’s satisfying about it? Because putting everyone else in front of you is not that satisfying. Ask yourself, what is it that you get out of it? What is it you want in life? And what is it that being busy keeps you from feeling? A lot of things happen in that quiet time. I’m going to challenge you to make sure you have it. And asking yourself those questions, but more importantly, quiet your brain. We can call it meditation, we can talk about that later. But seriously, it’s about being quiet, getting quiet so you can feel your emotions. Ask yourself what it is you want and develop that self-relationship because busyness and people pleasing keep us from being with ourselves. We tell ourselves as long as everyone else is happy, it’s okay if I’m miserable. But more importantly, it’s like I don’t even know what I feel because I’m so busy that I don’t give myself time actually to feel. My challenge for you today, this week, however you’re doing these, is to get quiet. 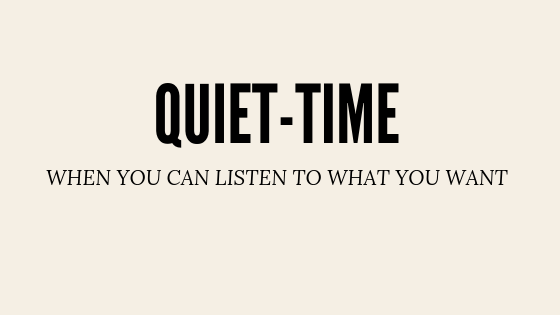 Give yourself five minutes of quiet time. Sit there with that emotion and that thinking. Ask yourself, what is it you want? Not what you wish for everyone else. That’s going to come up with you, “I want little Sally to go to college. I want … for someone else.” But I’m not talking about that. I’m talking about what is it YOU want? Seriously. Ask yourself, what is it you dreamed about as a little girl and you dreamed about before motherhood? How close are you to living that dream? Yes, I’m sure the vision is a bit different now but what is it you want for YOU. That’s the real question in this. People pleasing is about other people. Your quiet time is about YOU. As much as we think, “Okay motherhood, that’s it.” Being a mom is fantastic and fabulous. But there comes a time when we’re not actively mommy-ing. I’m telling you, you don’t want that moment to be the crisis moment. It probably was the crisis moment for you. That became my crisis moment, but that’s not the moment you want. You want to know all of you. Not just the part that is busy making sure everyone else is happy. Get to know you! Know who you are as a mom and a woman. Bring the two together into one amazing woman that is ready for life after motherhood. Your assignment is getting quiet. After you’ve had your quiet, get a piece of paper, write something down. Write what you were thinking. Write what came up. And then your third thing is straightforward; repeat the process. Add time as much as you can. Carve out quiet-time every day. During this time, you will listen to the inner voice that will guide you. Your intuition knows what you want, and it’s about allowing time to hear. Just be quiet. Be quiet. Feel your emotions. Listen to your thoughts. Being quiet may be harder than you expect at first but commit to doing it. In this quiet time will come the answers you are searching for, and the need to have other’s approval will minimize. You will find your validation and realize you don’t need to sacrifice your happiness hoping others will offer you what you can provide yourself – love and acceptance.